“I’m not sure if you should read this book, I don’t know if you are ready yet” – Jaime Cacharrón. Area Marketing Manager for Southern and Eastern Europe at Red Bull. This book revolves around a straightforward idea: people at the center and as a core of the Internet and the web. How to stay human through a different way to do marketing and implementing new information and disruption technologies. We don’t need Facebook, Twitter, LinkedIn or Instagram to create positive change and leading our movement. We only need to connect with anyone who is ready, expecting – and wishing – to be connected and resonated with. The Internet, social media, the web, and its platforms, widgets, and APPs are only the medium, not the engine. 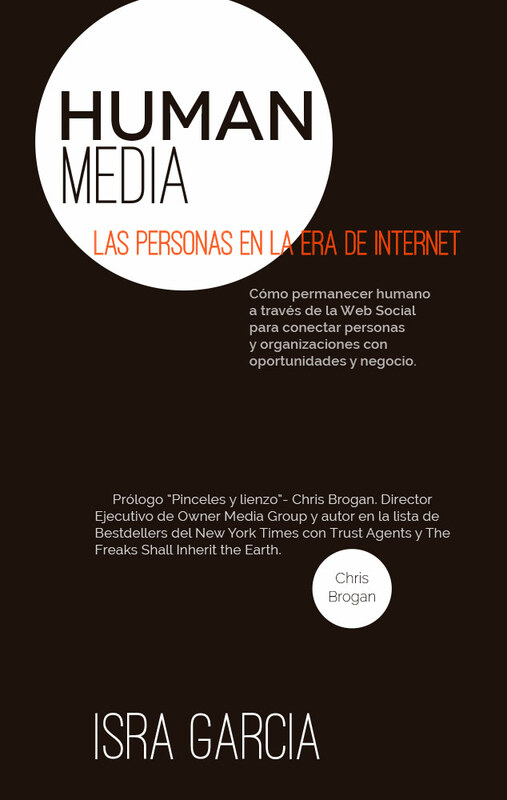 Human Media book: people in the Internet era. The foreword is written by Chris Brogan. Human Media book in Amazon.